This page briefly summarizes some of what we know about traumatic symptoms and responses, and includes links describing PTSD symptoms and coping strategies. Other links lead to more research-oriented issues, such as measuring treatment efficacy, etc. Succeeding pages at this site provide additional links to more detailed references, online articles, and web resources helpful in understanding trauma responses and treatment. Because they are so far outside what we would expect, these events provoke reactions that feel strange and "crazy". Perhaps the most helpful thing I can say here is that even though these reactions are unusual and disturbing, they are typical and expectable. By and large, these are normal responses to abnormal events. Trauma symptoms are probably adaptive, and originally evolved to help us recognize and avoid other dangerous situations quickly -- before it was too late. Sometimes these symptoms resolve within a few days or weeks of a disturbing experience: Not everyone who experiences a traumatic event will develop PTSD. It is when many symptoms persist for weeks or months, or when they are extreme, that professional help may be indicated. On the other hand, if symptoms persist for several months without treatment, then avoidance can become the best available method to cope with the trauma -- and this strategy interferes with seeking professional help. Postponing needed intervention for a year or more, and allowing avoidance defenses to develop, could make this work much more difficult. We create meaning out of the context in which events occur. Consequently, there is always a strong subjective component in people's responses to traumatic events. This can be seen most clearly in disasters, where a broad cross-section of the population is exposed to objectively the same traumatic experience. Some of the individual differences in susceptibility to PTSD following trauma probably stem from temperament, others from prior history and its effect on this subjectivity. In the "purest" sense, trauma involves exposure to a life-threatening experience. This fits with its phylogenetic roots in life-or-death issues of survival, and with the involvement of older brain structures (e.g., reptilian or limbic system) in responses to stress and terror. Yet, many individuals exposed to violations by people or institutions they must depend on or trust also show PTSD-like symptoms -- even if their abuse was not directly life-threatening. Although the mechanisms of this connection to traumatic symptoms are not well understood, it appears that betrayal by someone on whom you depend for survival (as a child on a parent) may produce consequences similar to those from more obviously life-threatening traumas. Examples include some physically or sexually abused children as well as Vietnam veterans, but monkeys also show a sense of fairness, so our sensitivity to betrayal may not be limited to humans. Experience of betrayal trauma may increase the likelihood of psychogenic amnesia, as compared to fear-based trauma. Forgetting may help maintain necessary attachments (e.g., during childhood), improving chances for survival; if so, this has far-reaching theoretical implications for psychological research. Of course, some traumas include elements of betrayal and fear; perhaps all involve feelings of helplessness. Post-traumatic Stress Disorder (PTSD) is the most common diagnostic category used to describe symptoms arising from emotionally traumatic experience(s). This disorder presumes that the person experienced a traumatic event involving actual or threatened death or injury to themselves or others -- and where they felt fear, helplessness or horror. Three additional symptom clusters, if they persist for more than a month after the traumatic event and cause clinically significant distress or impairment, make up the diagnostic criteria. The three main symptom clusters in PTSD are: Intrusions, such as flashbacks or nightmares, where the traumatic event is re-experienced. Avoidance, when the person tries to reduce exposure to people or things that might bring on their intrusive symptoms. And Hyperarousal, meaning physiologic signs of increased arousal, such as hyper vigilance or increased startle response. The actual symptoms used in the United States are described in the Diagnostic and Statistical Manual of Mental Disorders, or DSM. The most current version of the DSM is the DSM-5, published in late May of 2013. More detailed online information about DSM-5 is available here. Similar symptoms (from the 1994 edition, the DSM-IV) are summarized here. Two interesting diagnostic changes were made in the DSM-5's version of PTSD. The disorder has moved out of the Anxiety Disorders chapter, and into a chapter on Trauma- and Stressor-Related Disorders. Also, a "with dissociative symptoms" subtype can now be specified, although this shares the same diagnostic code. In my view, these are small but important steps forward. If a traumatic event occurred recently, then an individual might suffer from Acute Stress Disorder, which involves symptoms similar to PTSD but without the one month duration requirement. An alternative classification system, the World Health Organization's International Classification of Diseases, or ICD-10, uses a comparable but somewhat different symptom summary. PTSD was officially classed as an anxiety disorder for over thirty years (from 1980 until May 2013), but some argued that it fit more closely among dissociative disorders, while others felt it belongs by itself. There has also been discussion over differential diagnoses for simple vs. chronic traumatic histories (such as Complex PTSD, or the proposed DESNOS diagnosis: for Disorders of Extreme Stress, Not Otherwise Specified). Research suggests that DESNOS may be more frequent among individuals whose subsequent adult traumas complicate chronic or unresolved childhood traumatic experiences, and these differences may have important implications for treatment. The proposed DESNOS disorder (still not contained in the DSM) is discussed in articles by Bessel van der Kolk, Julian Ford, and others (including me) on the Articles Page at this site. While PTSD is the "prototypical" traumatic disorder, some people -- or some stressors -- present variations on this theme. Depression, Anxiety, and Dissociation are three other disorders that may sometimes arise after traumatic experiences, but Somatoform disorders -- and even hypertension -- can be seen in some populations. It remains a puzzle to the prevailing cognitive behavioral view that some physical disorders (chronic pain, hypertension, congestive heart failure, etc.) appear to be associated, or comorbid, with traumatizing experiences. Which trauma-related symptoms aappear may depend on how a particular individual deals with or expresses their stress, probably influenced by the individual's subjective interpretation of the stress as well as unconscious factors. Individual differences affect both the severity and the type of symptoms experienced. As you might expect, risk for PTSD increases with exposure to trauma. 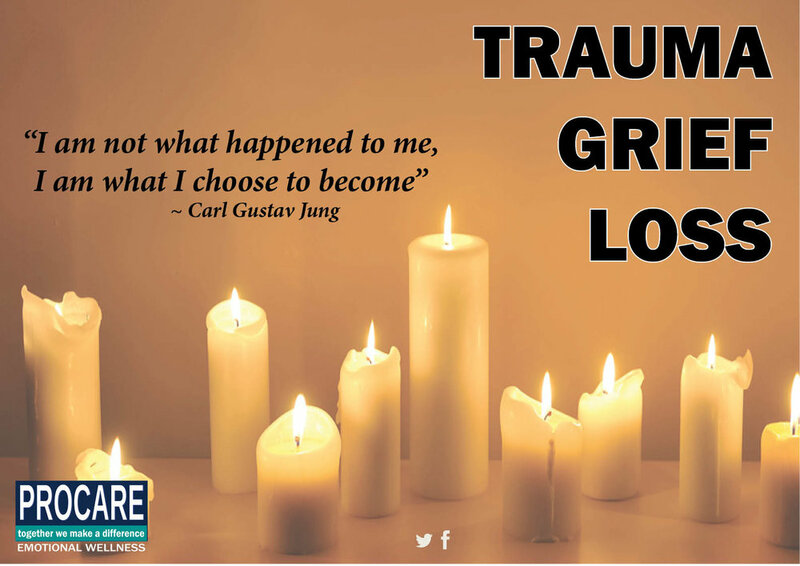 In other words, chronic or multiple traumatic experiences are likely to be more difficult to overcome than most single instances. PTSD is also more likely if passive defenses, such as freezing or dissociation, are used -- rather than active defenses such as fight or flight. Epidemiological estimates suggest that the incidence and lifetime prevalence rates of PTSD in the general population are around 1% and 9%, respectively. But these levels increase markedly for young adults living in inner cities (23%), and for wounded combat veterans (20%). There is also evidence that early traumatic experiences (e.g., during childhood), especially if these are prolonged or repeated, may increase the risk of developing PTSD after traumatic exposure as an adult. This may result from state-dependent learning, where previous responses to a terrifying event are repeated even though more appropriate responses (i.e., active defenses) may now be possible. Several animal studies have suggested the possibility of permanent physical damage (including shrinkage) in the hippocampus and changes in the amygdala when severe or chronic trauma -- and its symptoms -- persists (see especially work by Robert Sapolsky and by Joseph LeDoux, respectively). Unfortunately, there is no easy way to compare the relative types or degree of trauma across species. Human data, including Gilbertson et al's (2002) twin study, suggest that response to trauma may be influenced by pre-existing individual differences in hippocampal volume. Perhaps both processes are involved. There's no clear evidence that susceptibility to PTSD varies for members of different ethnic or minority groups (given a traumatic experience). But individual differences clearly play some role. For example, younger children have less ability to predict, avoid, make sense of, or to actively defend against, upsetting events, and more introverted or shy individuals may experience stronger emotional reactions to such experiences. One additional aspect of traumatic exposure affects primarily the workers who help trauma and disaster victims. These people include psychologists and other mental health professionals, but also the emergency workers -- EMTs, physicians, fire, police, search & rescue, etc. -- exposed to an overdose of victim suffering. These professions are at-risk for secondary traumatization. Known by various names -- compassion fatigue, secondary or vicarious traumatization, and "burn out", the symptoms here are usually less severe than PTSD-like symptoms experienced by direct victims in a disaster. But they can affect the livelihoods and careers of those with considerable training and experience working with disaster and trauma survivors. Secondary trauma might also be seen in jurors, for example, or in other individuals exposed to traumatic material (e.g., journalists; news photographers). Risk for secondary trauma is not limited to professions where such exposures are commonplace. As you might expect, the risk increases when traumatic exposures are unexpected, or among those without adequate preparation. Expect this, if you work with or are exposed to the stories of many disaster/trauma victims, and take steps to protect yourself at the first sign of trouble. Basically, there are three risk factors for secondary traumatization: 1) exposure to the stories (or images) of multiple disaster victims, 2) your empathic sensitivity to their suffering, and 3) any unresolved emotional issues that relate (affectively or symbolically) to the suffering seen. Aside from using whatever stress reduction or stress management measures work best for you, there's little an emergency or disaster worker can do about the first two risk factors, but it does help reduce the risk for vicarious traumatization if you know your own personal vulnerabilities and unresolved upsetting issues. Those are the cases best referred to your colleagues, when possible. Beth Stamm has created a wonderful website particularly on Secondary Traumatization that discusses these issues in much greater detail, and S. Megan Berthold has developed a lengthy article on Vicarious Trauma. Several different resources give concise information about characteristic symptoms of PTSD. For example, the American Psychological Association has a short press release summarizing some coping tips for people who have either experienced a disaster or been traumatized. A fact-sheet on traumatic responses, written by Patti Levin PsyD, also provides very good general information about symptoms and some helpful things you can do about them. Children, especially young ones, are apt to see things quite differently than adults; it can be very easy for a stressed-out parent to overlook or fail to recognize a child's fears about such events. If you take time to listen receptively, they'll probably tell you. Bruce Perry has given permission to make two excellent and informative booklets available here; they list clear guidelines written for adults who must work or live with children traumatized by death and summarize the child's experience of grief from a death or other loss. For confidential professional trauma counselling contact PROCARE.